Just before we went on holiday I was approached by the website Chemist Direct and invited to shop for our holiday essentials from the site. 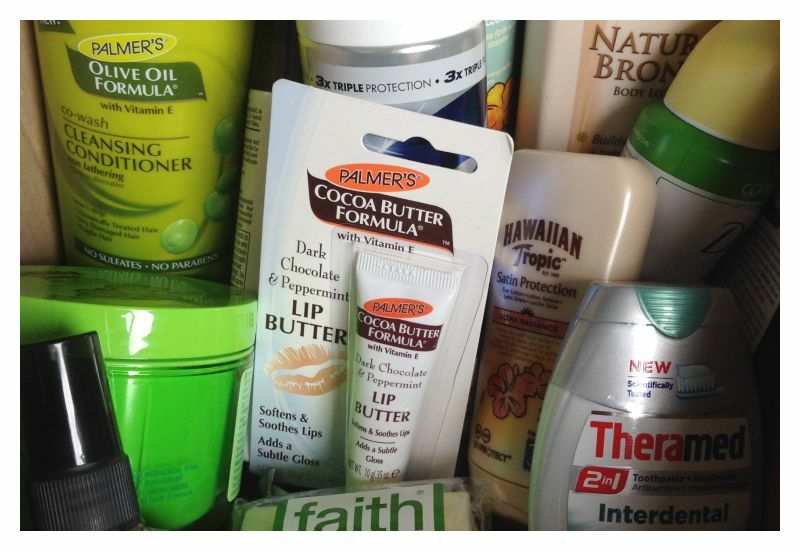 It was great timing because no matter how well-stocked your bathroom cabinet, there are always extra toiletry bits and pieces we all need when going travelling. I was given £50 in credit for the site, so it was a good chance to see the range on offer. I hadn’t shopped at Chemist Direct before and I found it to be an interesting mix of high street brands, medical supplies and high end brands such as La Roche Posay. It has a good range of more intimate, personal items so if you don’t want the counter assistants at Boots to know the ins and outs of your personal care needs then ordering online is a great alternative. Delivery is free for orders over £40 – otherwise it’s £3.49 which is pretty reasonable I think. There’s a dedicated Travel Shop and a flash travel sale happening right now, plus there are plenty of bargains scattered throughout the site. 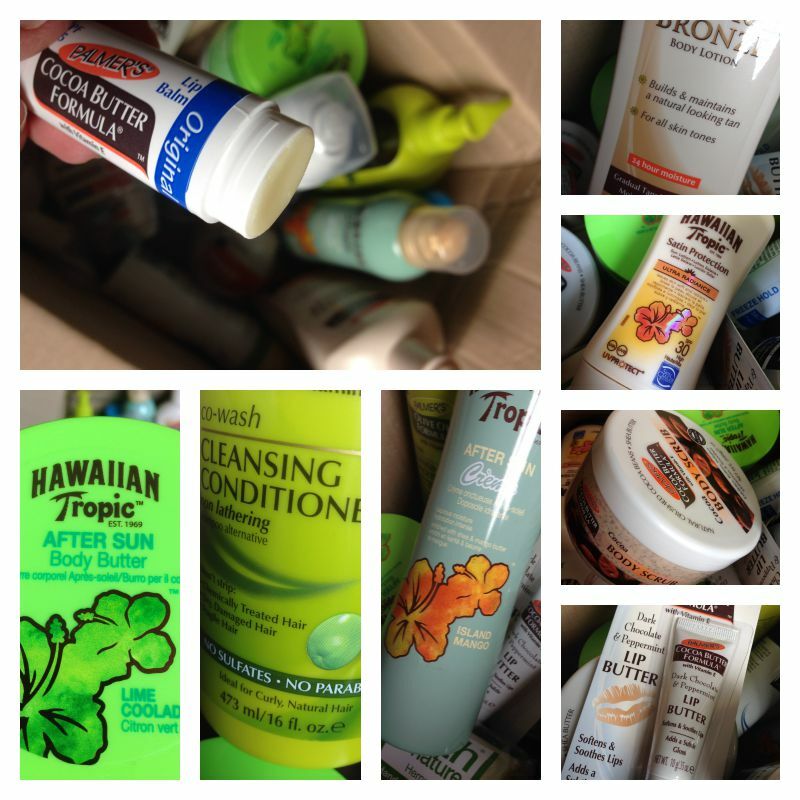 I love Hawaiian Tropic, it’s a brand that feels like holiday even when you’re back home. This lime-scented body butter is designed for after sun use, but it smells so delicious I’ll be using it all year round. Likewise this mango-scented after sun moisturiser. The mango scent is quite light with this so you don’t end up smelling like a tropical fruit punch. OK maybe I did go a bit overboard on the Hawaiian Tropic brand, but in the absence of a holiday to Hawaii this will have to do. This bargain little sun screen is a great handbag size for travelling. My go-to holiday toothpaste, since it also contains mouthwash. Multi-tasking is the way to go when you are packing light. All tanning moisturisers smell like biscuits, but this one is much more desirable because it smells like chocolate biscuits. I buy a bottle of this every summer, it’s great for fake tanning without streaking. I thought this cleansing conditioner would be handy for travelling, but I’d failed to notice that I was actually ordering a massive 473 ml size. So this will stay at home. It’s a very interesting and innovative product – no sulfates or parabens; contains olive oil and is an alternative to shampoo for dried out frizzy hair. Don’t forget sun protection for your lips! For some reason I like that this is an oval lip balm, but then I’m easily impressed. 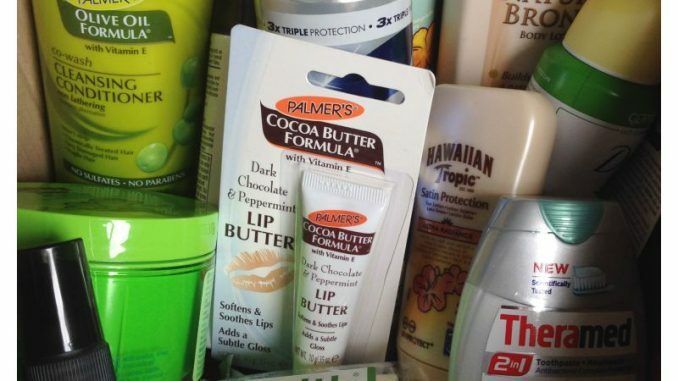 Chemist Direct had lots of interesting Palmers products I hadn’t seen before, and none more yummy than this dark choc and peppermint lip balm. Like a calorie-free Fry’s Peppermint Cream. Another deliciously scented product from Palmers, for exfoliating before fake tanning. Contains crushed cocoa beans and shea butter, smells lovely and chocolatey. For the teenager and her fruity-scented needs. Apparently this retro brand is quite hard to get hold of – the Chemist Direct review section is full of people overjoyed to have found it again. Me, I just wanted it for my armpits. We’ve got a bit of a flea situation going on with Dennis the cat right now, another manifestation of how much he despises us. So we’ll be needing lots of this. I got this because previous trips to France have resulted in encounters with some less than savoury public toilets. I’m not a germophobe but I do have my limits. So this is for dealing with any horrors we encounter. A little travel sized bottle to keep me & the daughter’s hair intact when we get bored and start doing elaborate plaits on each other. Something for the mister. He’s got simple tastes. One of those products I don’t really understand, but the teen gives it the thumbs for hair tousling properties. When I was a teenager you had to tousle your own hair, usually with crimpers. For holiday showers, and for reminding us of home. Because if there are two things that spell Brighton, it’s hemp and green tea. So I think we did pretty well for our £50 budget (it came in slightly over and I paid the extra). As soon as I placed the order I was offered a referral code which I thought was really cool. So if you put my name – Joanne Mallon – into the referral box at the checkout, you’ll get £5 off your Chemist Direct order. Our order took a week to arrive because a couple of things were initially out of stock. If I have a tiny quibble then I would have preferred it if this was mentioned on the site so I could’ve ordered something that was in stock and got the order sooner. But it was only a matter of a couple of days so not that big a deal really. The order arrived well-packed with a combination of loose and bubble-wrapped items. Brown paper padded out the box and everything arrived in perfect condition. All in all it was a good, quick and easy shopping experience at Chemist Direct and one I’d recommend. So those are my summer essentials – what are yours?